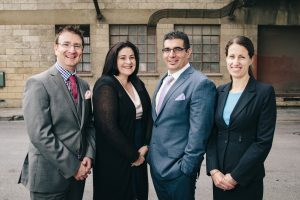 Adelaide Lawyers, home-visit, Port Pirie, estate planning, wills. I’ve been lucky enough to be blessed with an interesting career. I’ve been a journalist, worked at the pointy-end of government … I’ve even had a hand in showbiz. You’d think I’d have seen it all. I’ve been working at Welden & Coluccio Lawyers for six months, and the only word to describe my time here is “surprise”. Surprise at the how important lawyers really are to everyday life. Surprise at how a good lawyer can actually save you money. Surprise at how simple mistakes in a DIY will can be so costly. Surprise at the simple legal strategies that can help to better secure an inheritance. But perhaps the biggest surprise is seeing how this law firm operates. Before I came to Welden & Coluccio, if I imagined a law firm, it would be a walnut-lined office filled with leather-bound books, heavy doors with golden name plaques, chesterfield lounges and quiet hallways stalked by people with hyphenated surnames who wouldn’t pick up phone for less than $200 a minute. Thankfully, for this working-class boy from Port Pirie, that’s simply not the reality. I’m yet to see a wig or gown. The main office is more a shrine to the Port Adelaide Football Club than the cloistered grounds of a mouldy law school. The staff share lunch; there’s no pecking order. It’s a workplace built on trust. Greg and Jason feature in playful, movie-inspired posters that gleefully take the mickey out of themselves (despite being leaders in the field who’d probably be excused for having a slightly inflated ego were it another firm). I’ve seen Greg Welden pick up a time-bomb in a contact that could have cost a family millions (a time-bomb other law firms missed). I’ve seen Jason Coluccio quietly sneak out of the office, only to find he was attending the funeral of long-settled client who had no one else. I’ve seen Joanna help families navigate the pain of divorce amicably, and Maddalena piece together complex paper trails that would put any forensic investigator to shame. What I have seen is four lawyers who treat their clients like people, charge a fair price and genuinely care about their client’s situation – not just from a legal perspective, but a human one above all. Just last week, Greg and I visited a lovely woman in her 80s who wanted a new will but couldn’t leave her house. That’s not the kind of service you get from a big law firm. When you’re a number, you’re told to go somewhere else. Not here. The only numbers Greg and Jason care about are how many grandchildren you have, or how many goals your eldest scored in footy or netball last weekend. It’s nice to be surprised like that.